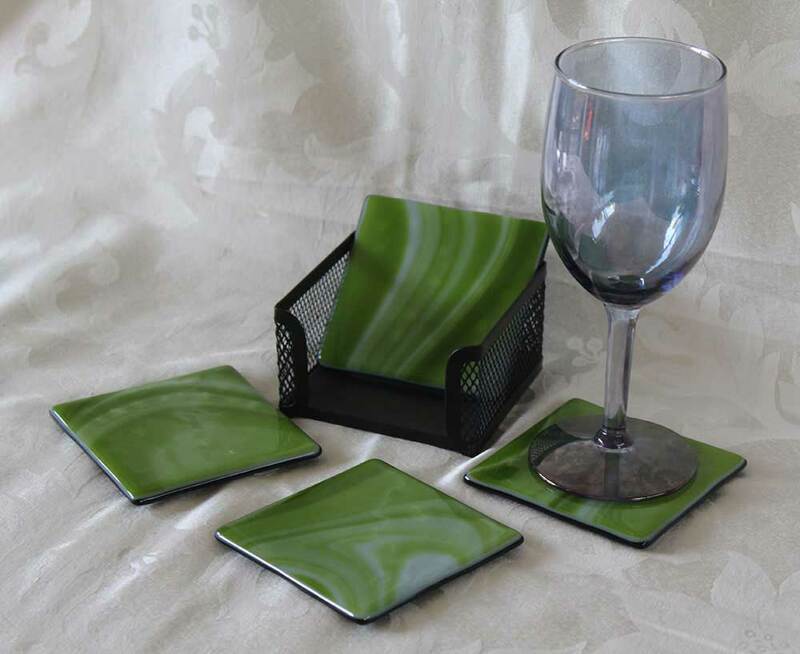 Browse the boutique for dinnerware—a variety of plates, dishes, bowls, coasters and spoon rests—as well as jewelry and glass nail files. 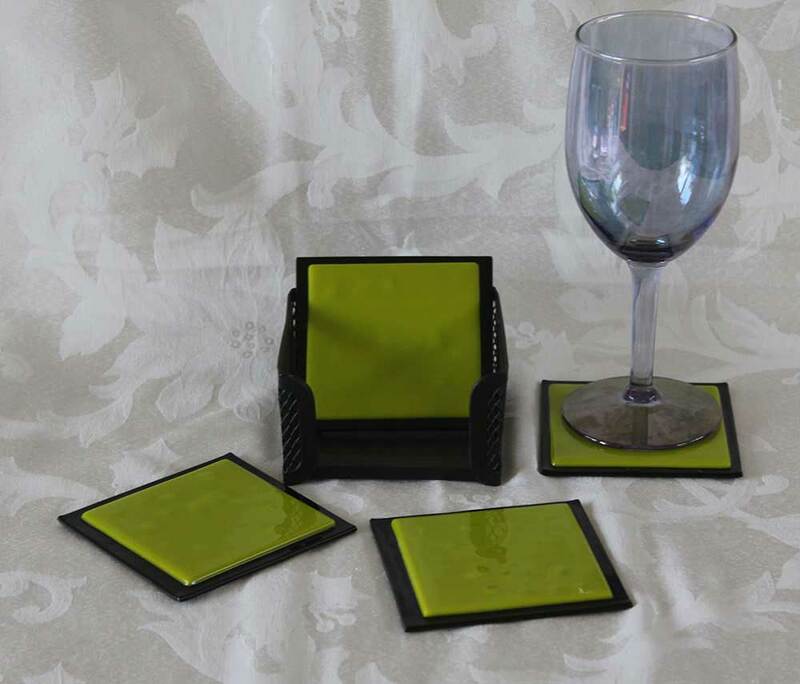 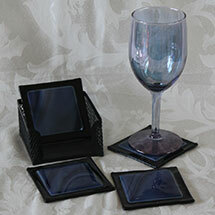 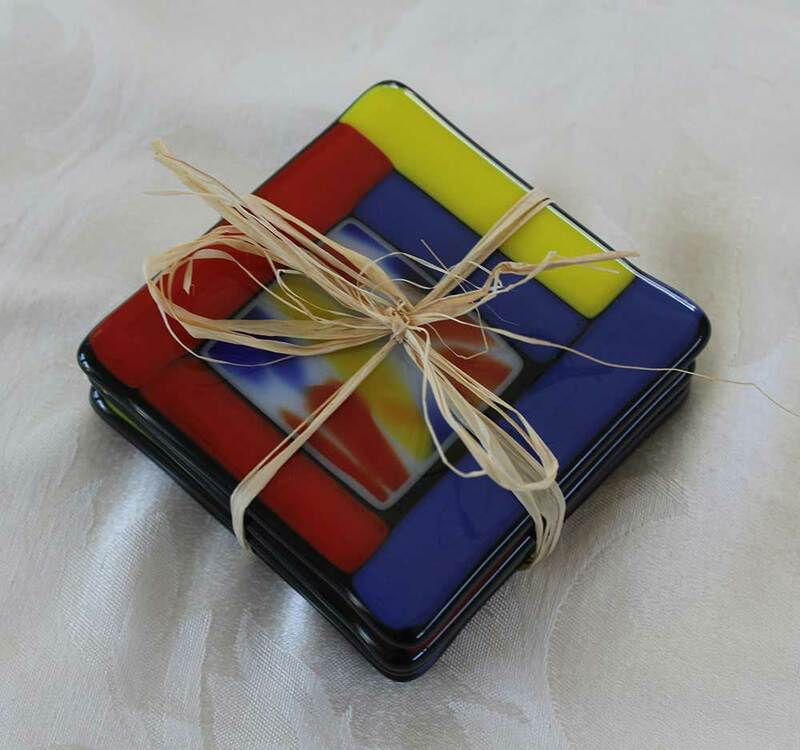 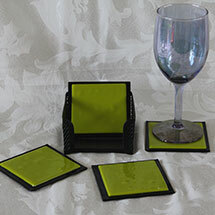 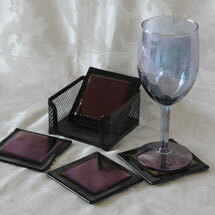 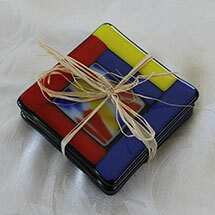 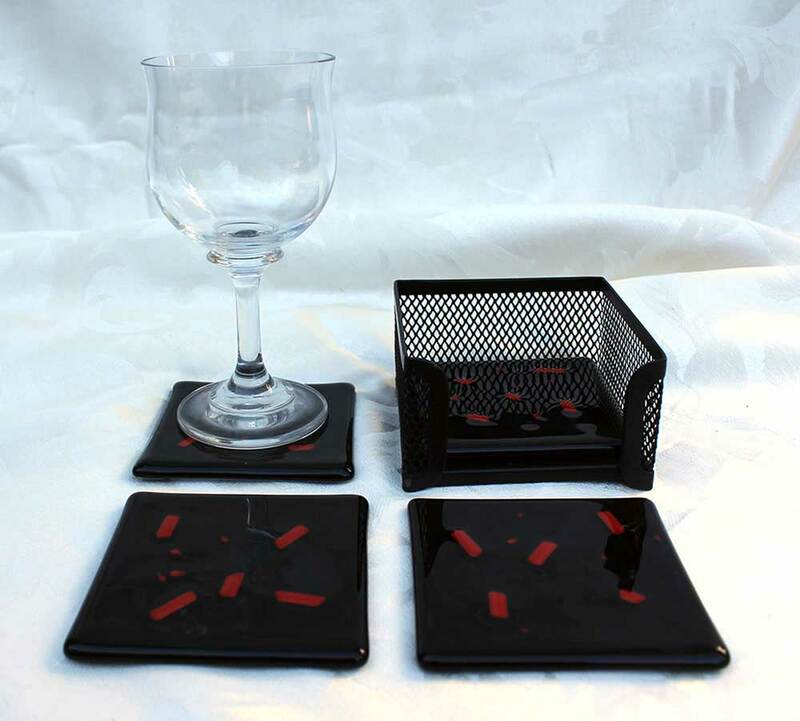 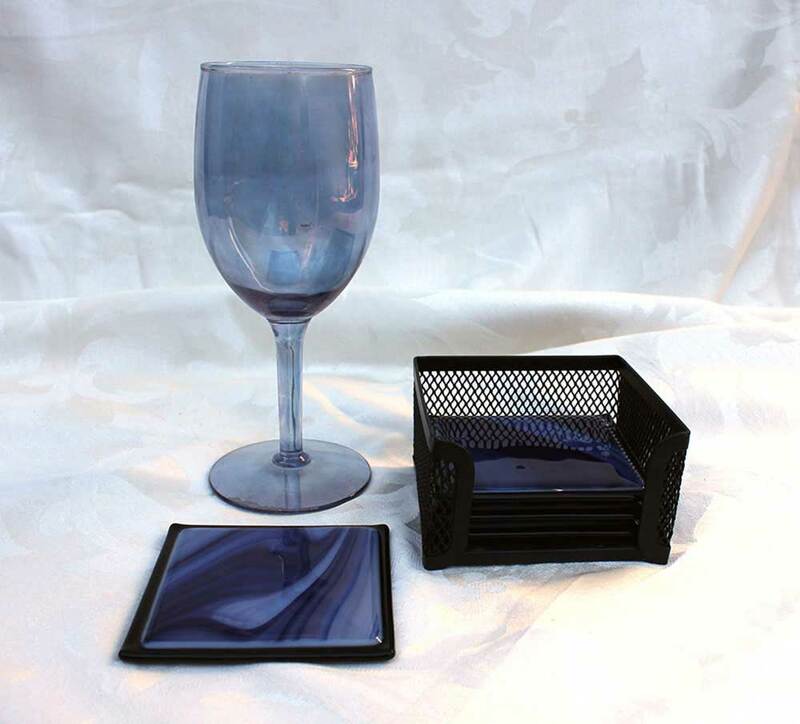 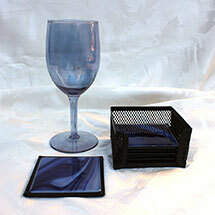 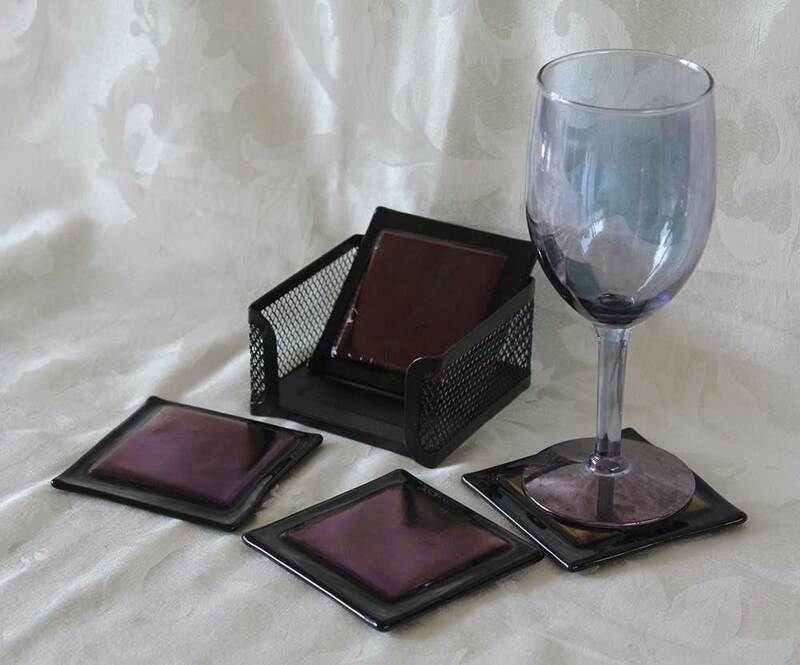 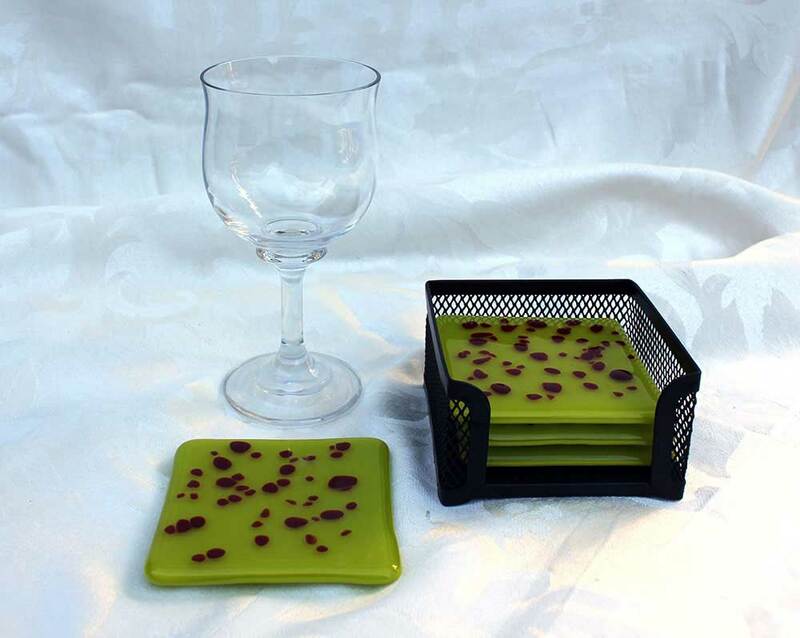 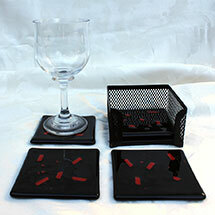 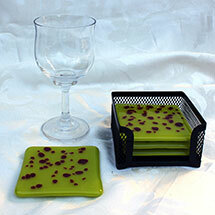 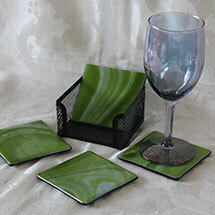 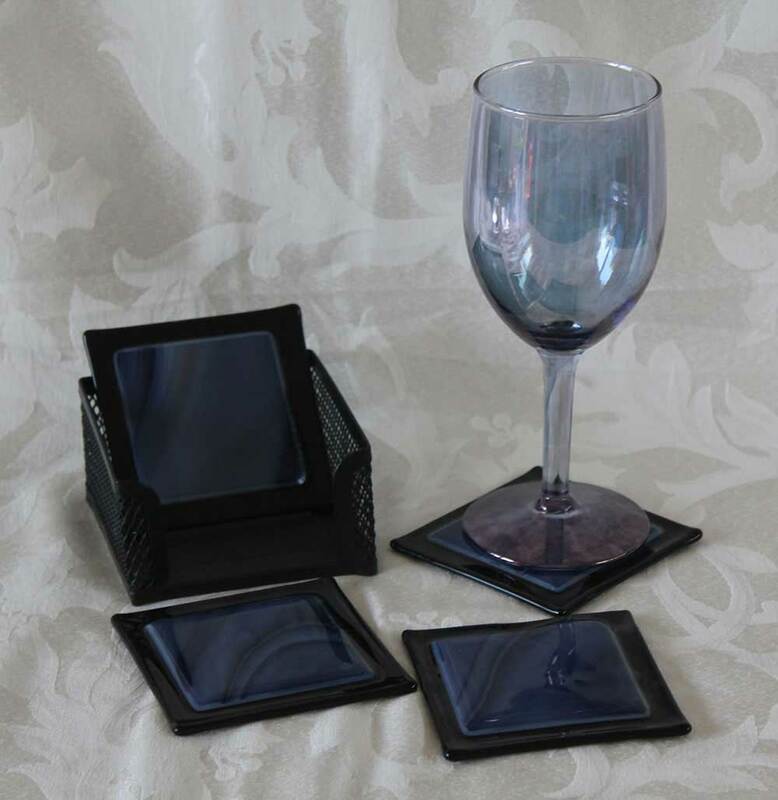 Fused glass is a perfect medium for coasters. 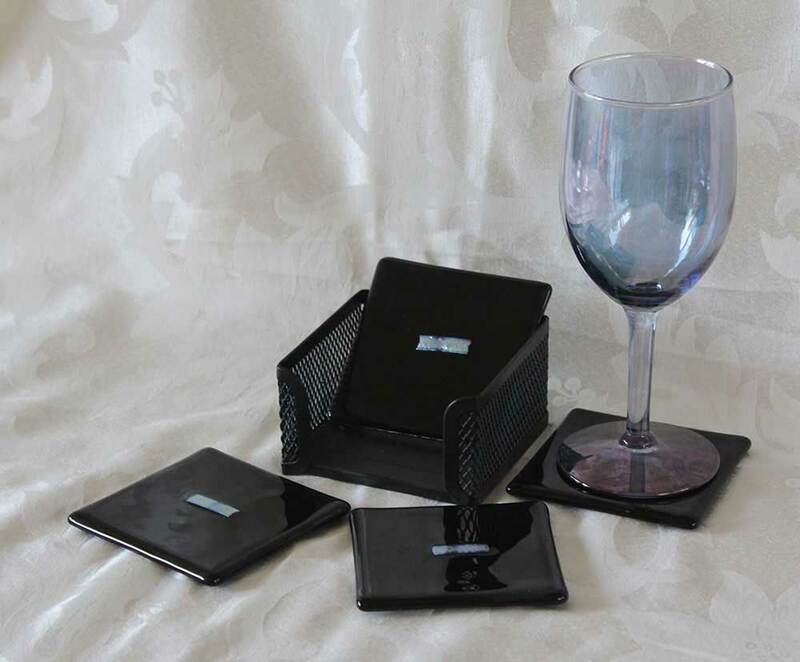 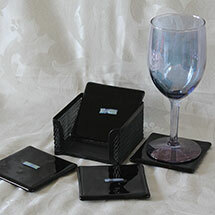 Most sets of four coasters come with a black case.